Kathleen “Kathy” Naples, 74, passed away peacefully with her children by her side on Wednesday, April 10th. Born November 14, 1944, she was the daughter of Bernard and Helen Walsh Boyle. She graduated from Ursuline High School in 1962. Kathy retired from St. Elizabeth Health Center, where she worked for 35 years. Kathy loved taking trips to Atlantic City and Mountaineer with friends and family members. 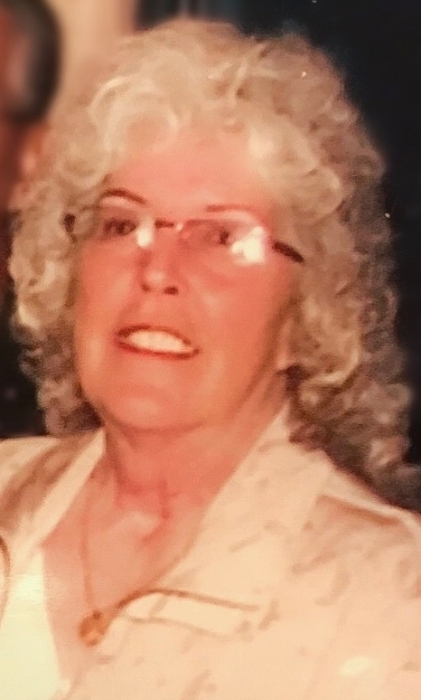 She also enjoyed watching her grandchildren play sports, dancing any chance she could, attending car shows, and taking part in the Brier Hill Italian Fest with her late husband. Married April 29, 1967, to Anthony “Tony” Naples, who died Oct. 31, 2014, Kathy was a proud mother of their four children, Anthony (Janine), Charlene (Andre), Mark (Julie), and Bobby. She will be missed by her grandchildren, Gabrielle, Alexis, Taylor, Christopher, Anisah, Mark Jr., Gentry, Mason, and Victoria; and a host of nieces and nephews. Kathy will be dearly missed, but her memory will be cherished in their hearts forever. Besides her husband and parents, Kathy was preceded in death by her siblings, Delores and Tommy. The family cannot express enough gratitude to Amy, Gail, and all the wonderful people at MVI Hospice Care. Calling hours will be held on Saturday April 13th from 5-7pm in Schiavone Funeral Home with a prayer service to follow at 7pm.